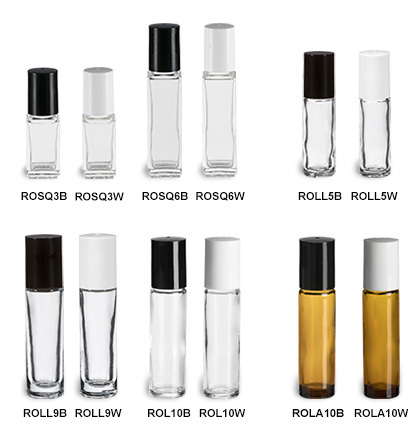 Perfect for essential oils, fragrance or perfumes, these round and square roll on bottles are easy to use and are made with a very thick durable glass. Available in two shapes and five sizes with high end black or white caps. We also offer a 10-ounce version in amber glass to protect light-sensitive contents. Prices include the bottle, cap and two-piece roller fitment.